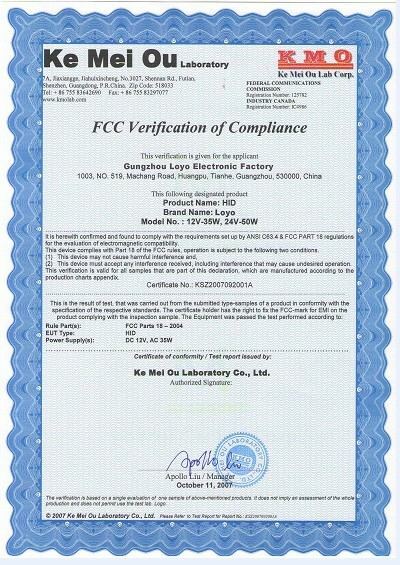 Guangzhou LOYO Electronics Factory belong to Zhuzhou Daneng Group & Lichtex. 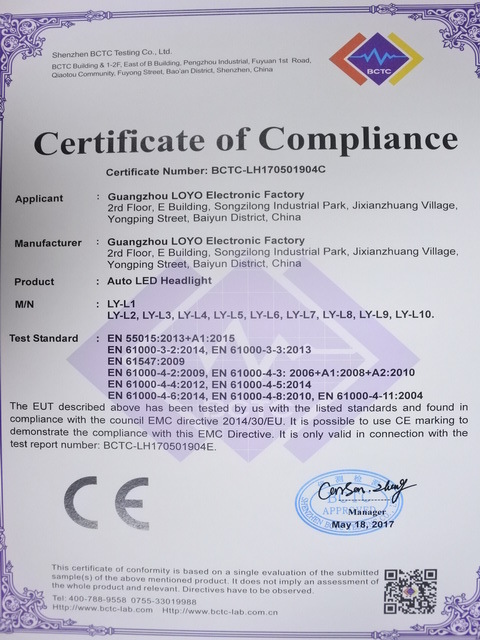 Established in 2006, Guangzhou LOYO Electronics Factory (a subsidiary of Zhuzhou Daneng Group & Lichtex) specializes in manufacturing LED auto lamps, LED work light, LED offroad light, LED light bar and HID auto light, HID driving light. 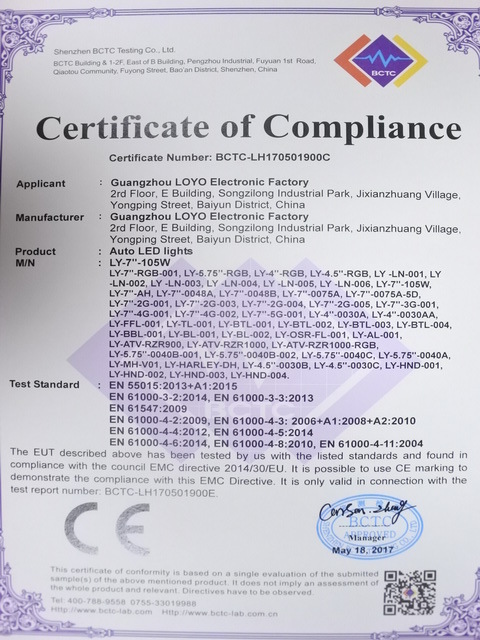 LOYO has passed ISO9001:2000 quality management system certification and strictly implements ISO9001:2000 quality management system standard. 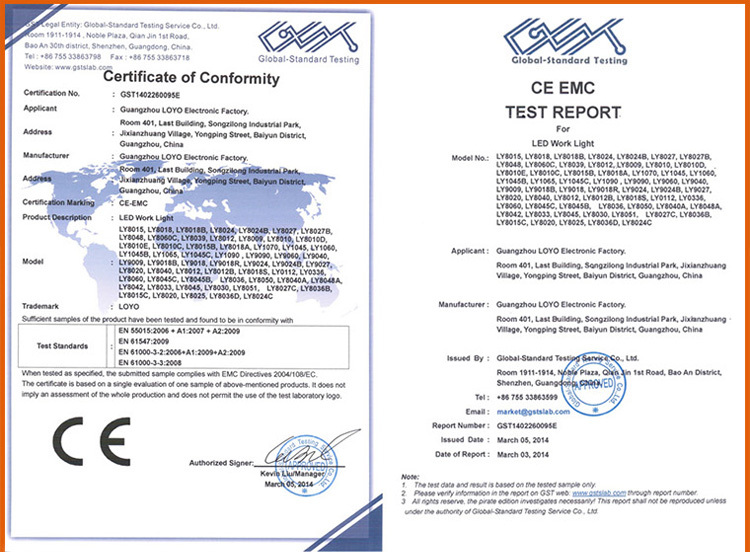 Our products have got the certifications of E24-MARK in Europe, SASO in Saudi Arabia, CE in the EEC, FCC in the United States and ISO9001:2000. 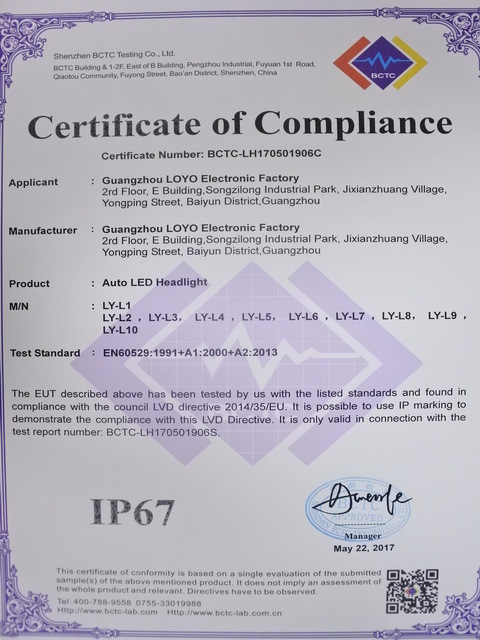 Having led the LED lighting industry for the past 5 years, we have won a great reputation around the world with good quality and services. 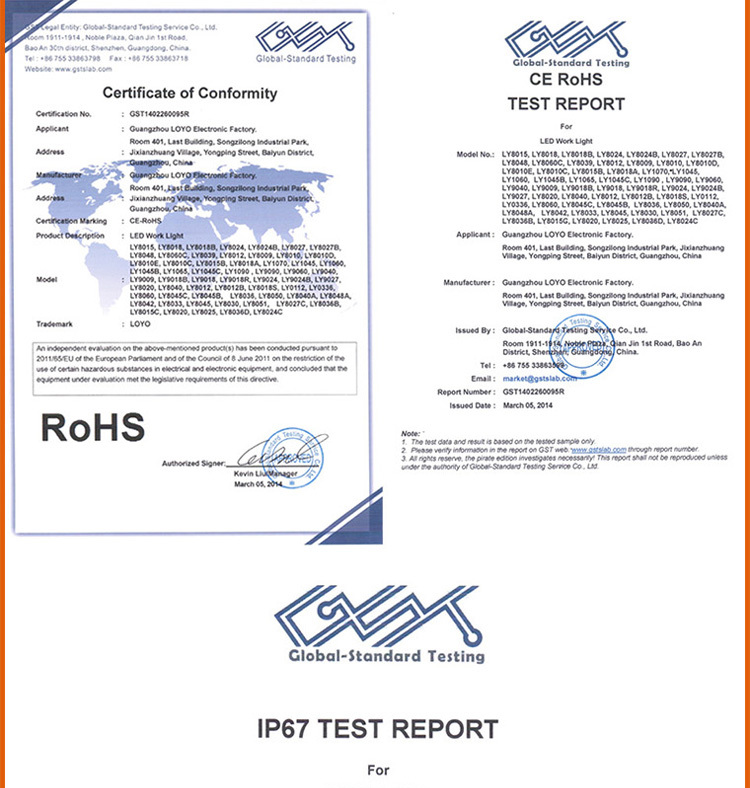 We are planning to set up agencies or service branches in auto leading countries and regions to further improve our sales services for our Esteemed Customers. 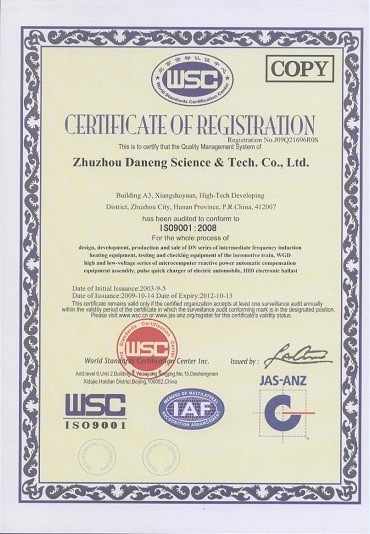 Our production capacity of 2 million sets per year and strong R&D abilities enable us to meet the great demands of the global markets. 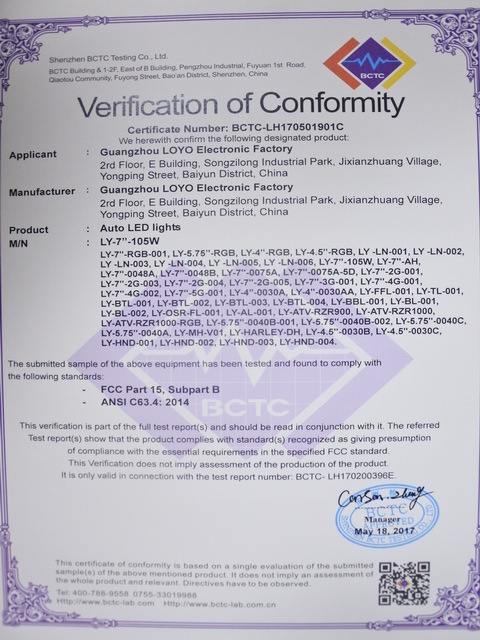 With the strict quality control of our factory and each chip SMD sealed by our experienced partners in Taiwan area, we are able to provide our customers with the most reliable products both on prices and quality. Sincerely at your service! Please contact us if you have any demands or inquiries. OEM and ODM orders are also welcomed!